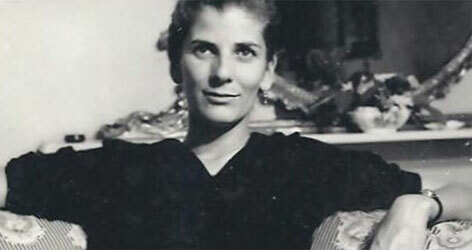 Elizabeth Jane Howard (1923 – 2014) was a remarkable writer who wrote fourteen novels as well as screen-plays, short stories, book reviews and articles – though she is chiefly remembered now for being the wife of Kingsley Amis and stepmother to his son Martin. Her life couldn’t be more different from Paddy’s, and it’s every bit as good a story. She trained as an actor, and was still only nineteen when she married the naturalist Peter Scott in 1942. Her only daughter, Nicola, was born the following year. At the end of the War Jane realized that she could not cope with either marriage and motherhood, and she left both husband and child to become a writer. During the 1950s she had a succession of lovers who included Arthur Koestler, Laurie Lee and Cecil Day-Lewis – but none of them could give her the affection she craved. Neither could her second husband, Jim Douglas-Henry. In 1964, Jane was directing the Cheltenham Literary Festival when she met Kingsley Amis. They were happy at first, but it disn’t last and Amis never forgave her for walking out on him in 1980. Jane was devastated by the collapse of her third marriage. She never lived with a man again, except for a brief spell in 1996 when she fell into a trap laid by an unscrupulous con-man: a chilling experience that forms the subject of one of her most powerful novels, Falling. ‘Often I have had to repeat the same disastrous situation several times before I got the message,’ wrote Jane in her memoir, Slipstream. It is facinating to me how someone who could write so perceptively about men and women, who could capture the moment of a lie and see exactly how people decieve themselves, could be so blind in her own love life: it is the conundrum at the heart of this still unwritten book. I began interviewing Jane in March 2013, and had been to stay with her five times at her house in Bungay, Suffolk, before she died on 2 January this year.